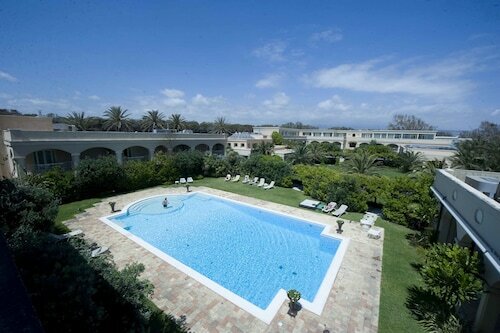 Located in San Giorgio-Librino-San Giuseppe la Rena-Zia Lisa-Villaggio Sant'Agata, this hotel is within 3 mi (5 km) of Catania Harbour, Catania Beach, and Catania Cathedral. Via Etna is 2.1 mi (3.3 km) away. Catania Acquicella Station is 26 minutes by foot. Offering direct access to the beach, this San Giorgio-Librino-San Giuseppe la Rena-Zia Lisa-Villaggio Sant'Agata hotel is within 1 mi (2 km) of Catania Harbour and Catania Beach. Catania Cathedral and Via Etna are also within 3 mi (5 km). Located in San Giorgio-Librino-San Giuseppe la Rena-Zia Lisa-Villaggio Sant'Agata, this beachfront hotel is on the boardwalk and within 1 mi (2 km) of Catania Harbour and Catania Beach. Catania Cathedral and Via Etna are also within 3 mi (5 km). Located in San Giorgio-Librino-San Giuseppe la Rena-Zia Lisa-Villaggio Sant'Agata, this guesthouse is within 3 mi (5 km) of Catania Harbour, Catania Beach, and Catania Cathedral. Via Etna is 2.6 mi (4.3 km) away. 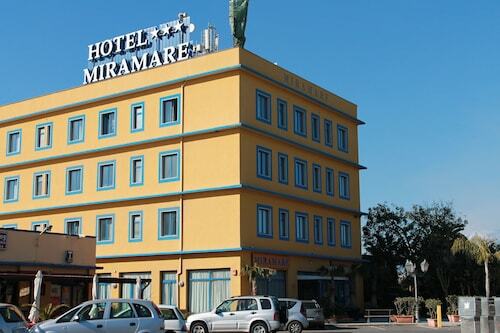 This hotel is located in Catania (San Giorgio-Librino-San Giuseppe la Rena-Zia Lisa-Villaggio Sant'Agata), close to Catania Beach, Brodbeck Foundation, and Catania Harbour. 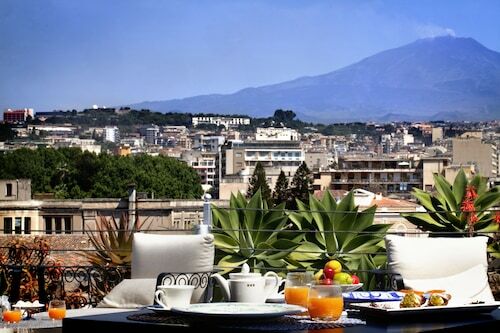 Local attractions also include Catania Cathedral and Via Etna. 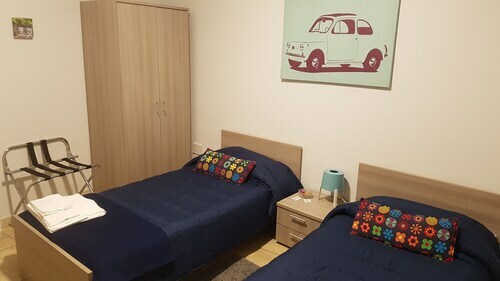 Located in San Giorgio-Librino-San Giuseppe la Rena-Zia Lisa-Villaggio Sant'Agata, this guesthouse is within 3 mi (5 km) of Catania Harbour, Catania Beach, and Catania Cathedral. Via Etna is 2.7 mi (4.3 km) away. 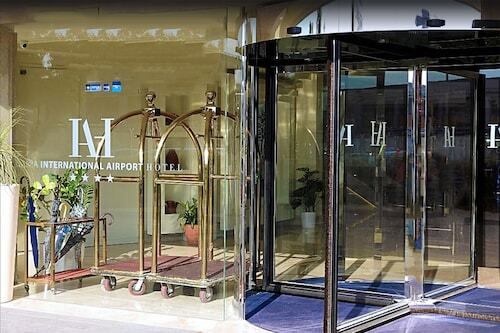 Located in Catania City Centre, this hotel is within a 10-minute walk of Catania Cathedral and Elephant Fountain. Massimo Bellini Theater and Palazzo Biscari are also within 15 minutes. Porto Station is 17 minutes by foot and Central Station is 18 minutes. 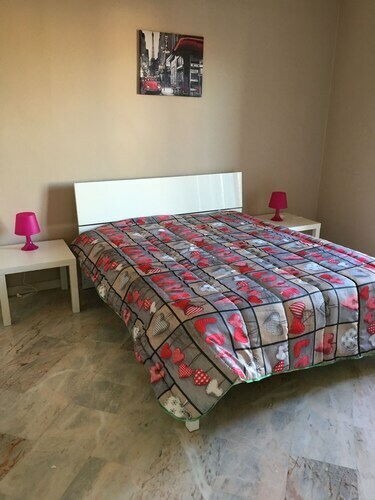 Located in San Giorgio-Librino-San Giuseppe la Rena-Zia Lisa-Villaggio Sant'Agata, this bed & breakfast is within 3 mi (5 km) of Catania Harbour, Catania Beach, and Catania Cathedral. Via Etna is 2.4 mi (3.8 km) away.